We also could only use one embellishment, one sentiment, or one piece of patterned paper. Not one of each...ONLY ONE! OMG I totally grazed over that rule, lol! My subconcious wanted to rebel before I could even see it, ha! 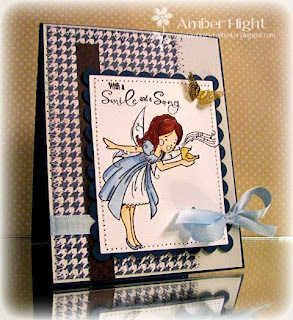 The sentiment is from Verve's Sweet on You and all cardstock (except for the white PTI) is by SU! and the buttons are by PTI! This next card is for the Club Anya sketch challenge! The sketch actually had the focal image being a circle, but I'd already colored Chibi Cupcake in and couldn't fit a circle on the small scrap of cardstock, so it had to be rectangle! The pp is all from Thrift Shop by OA (except for the book print, that's from an actual book I bought for just such applications!) the sentiment stamp is from Artful Elegance by Verve and the ribbon/button/twine are from PTI! If you're lookin' for a Memorial Day sale, the WHOLE Verve store is 20% off through May 31st!!! SFYTT-Love you Rain or Shine! Before I start I want to apologize for the CRAPPY picture! I just don't know why this card wouldn't come out right! 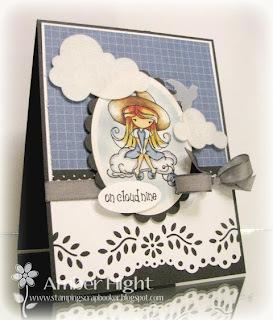 I had another card that I took pics of and the color came out beautifully (that card is at the end of this post)! Go figure. And I don't know enough about PSE to get the colors corrected. Guess I better study up on that! 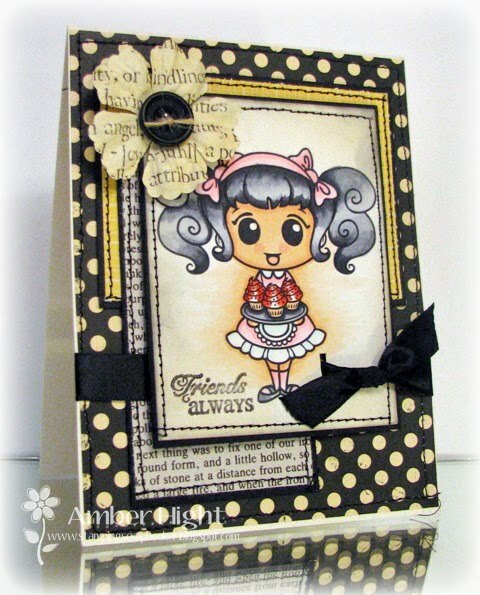 And here's my card using a sweet Anya from Rain, Snow or Shine from The Greeting Farm! I colored her in with Copics, taking the colors right from the fabulous paper from Thrift Shop by October Afternoon! 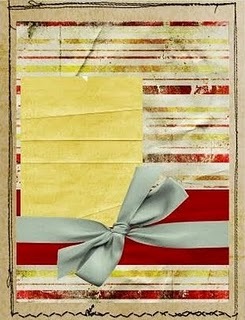 I bought two packs of this paper, one to use, and one to hoard, lol! 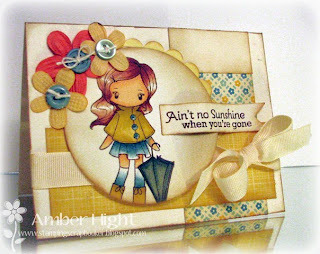 The sentiment is from Scattered Showers by PTI and I also added a few Primas and buttons! 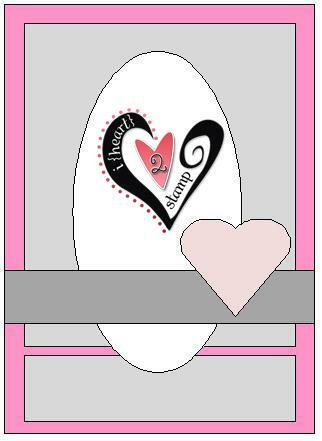 Now go see what the rest of the SFYTT sistah's came up with for this sketch! Altee-tude! I love her, isn't she a beauty? The cardstock base is Smokey Shadow by PTI. Okay, seriously, I'm loving this new punch by Martha Stewart! OMG her edge punches have come a LONG way, and they actually carry a few of them at our BX! 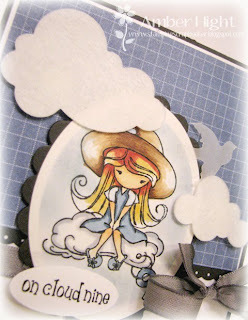 Check out those puffy white clouds, they're cut out with felt using my new PTI cloud dies! These dies are so perfect and I'm so happy I have them now! They're going to get a WORKOUT! LOL! If you're interested in playing in VSN this weekend, here's the link ---->click! Thanks for stopping by today:) Have a wonderful weekend! Today is another FUN and HUGE Farm Fresh Friday! Not only do those of us from the Critter Crew have fun cards to share with you, but there is something HUGE brewing at TGF on Monday! Looks like three new Cheeky girls are being released and you will love them! 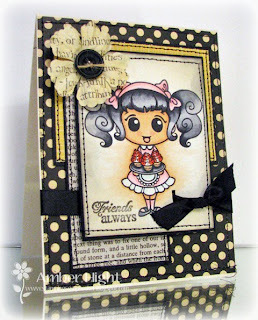 Hop on over to the TGF blog to start at the Farmer/Club Anya team blog hop to catch a sneak peek at these sassy new stamps! I have another fun card to share for this weeks challenge too! 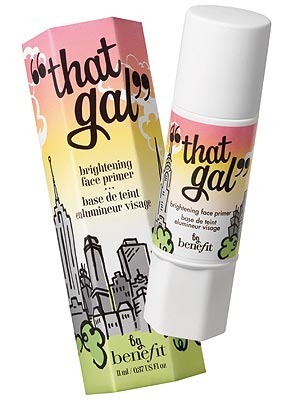 The challenge is this fun "That Gal" logo. Isn't it so pretty? 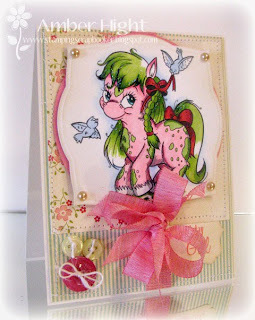 I really love the colors and knew right away I was going to fancy up my Pinto Pony! I seriously think that Pinto Pony is my favorite image to color in the WORLD! 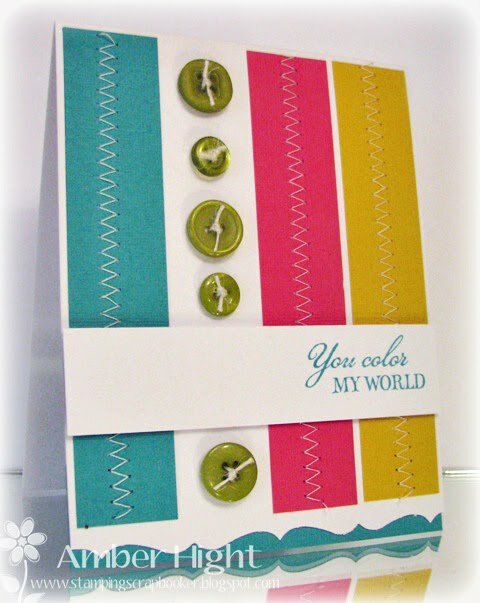 There are so many fun color combos you can put to her! 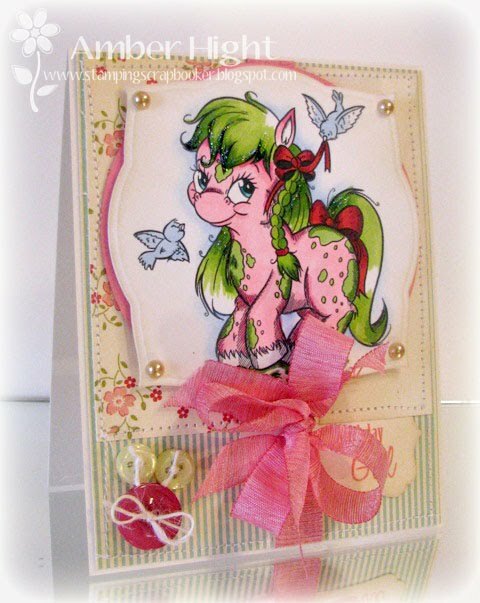 Just think back to your "My Little Pony" days and you can seriously do some fun stuff with them! I printed her out on Neenah Solar White Super Smooth cardstock and colored her in with my Copics. I colored her using the "That Gal" logo as my inspiration, her hair was supposed to be more of a celery'ish green but I got carried away and kept adding darker colors because I love the depth, lol! I colored the body a fun shade of pink, doncha think? 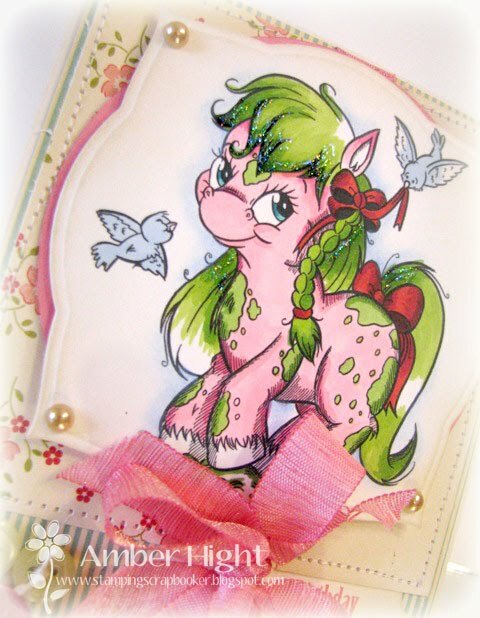 She's so cute, if I could have a pony, this is what she'd look like, lol! 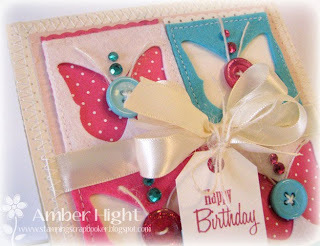 It's hard to see the sentiment because my big ole' bow kinda hides it, but it's from "Butterfly Dreams" by PTI! 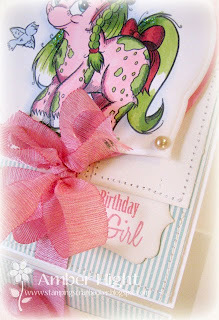 I think it's just a perfect little girl's bday card! Now I just have to wait for one of my niece's bdays, lol! The layout is inspired by this week's Mojo Monday sketch! 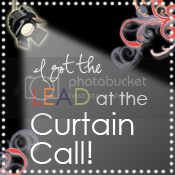 Don't forget to check out the rest of the Crew, I'm excited to see where their inspiration took them! Also, it's Jami's last Friday with the Critter Crew, so please leave her some extra love. We will miss her!!!!!!! 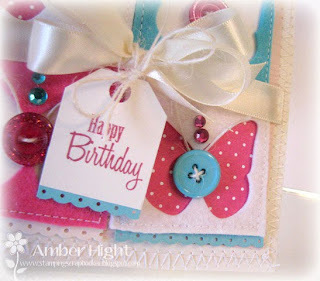 Papertrey Ink Blog Hop--Fabulous Felt! Well it's been over a year since I last participated in one of the PTI blog hops! I just knew that this month's hop was a perfect time to join back in because the theme is FELT! PTI has come out with their own felt this year and I can fully attest to it's AWESOME-NESS! No little fuzzies, cuts like a dream, gorgeous colors, what more could you ask for? I decided to cut my felt with another new product introduced this year, dies! 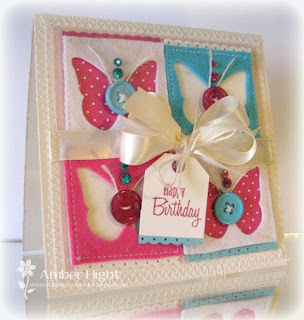 I used my butterfly die to punch out shapes from the middle of four 2x2 squares of felt! After I cut the butteflies out of the felt, I layered them on a 2x2 square of paper (2 Vintage Cream and 2 Raspberry Fizz bitty dots) and sewed them down. 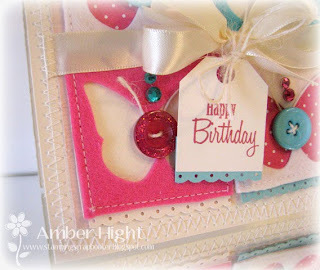 To add a little more interest, I punched some cardstock with my small scallop edge punch (by EK Success) and added them to the bottom of each 2x2 square, and the sentiment tag. 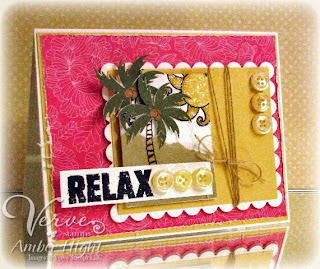 The last thing I added was some Vintage Cream ribbon and some Hawaiian Shores and Raspberry Fizz buttons, and some K&Co Rhinestones! Thank you so much for hopping with me today, I can't wait to see all the other fabulous blog projects today! 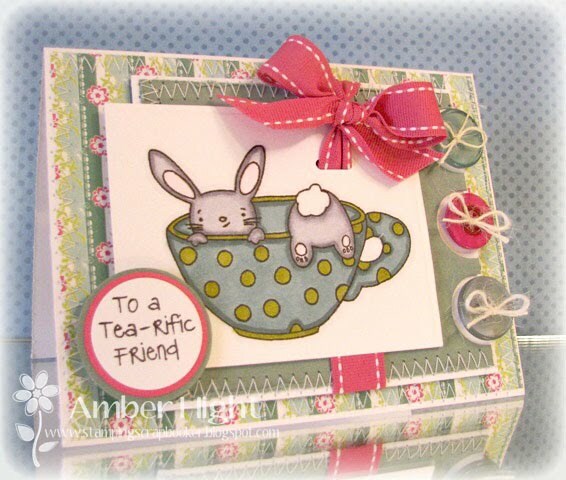 And here's my card using Tea for Two by MFT! Is that fun or what? 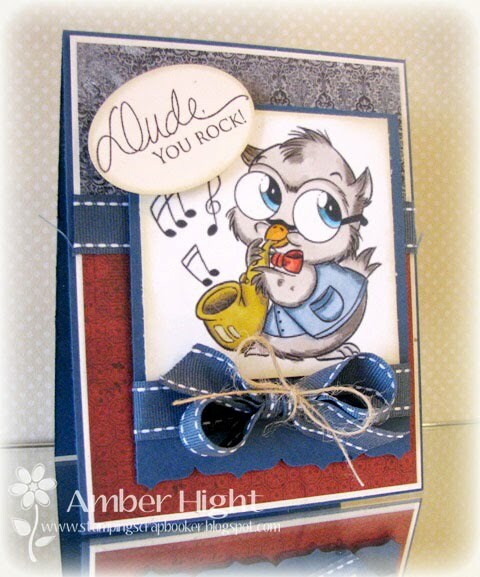 Here's my card, using the sweetest owl ever, Irvin!!!!!! I just know that the Farmers and the rest of the Critter Crew have a ton of eye candy for you, so head on over to The Greeting Farm blog and take a look! Gotta run, but thanks for stopping by! Here's my card, using this weeks Viva la Verve sketch! 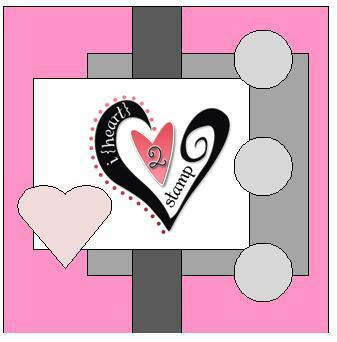 And check out what the rest of the Monday Chicks created! 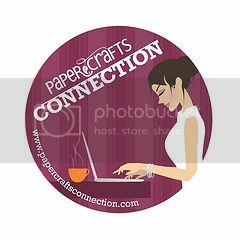 The TGF Critter Crew blog hop and SFYTT too)!! 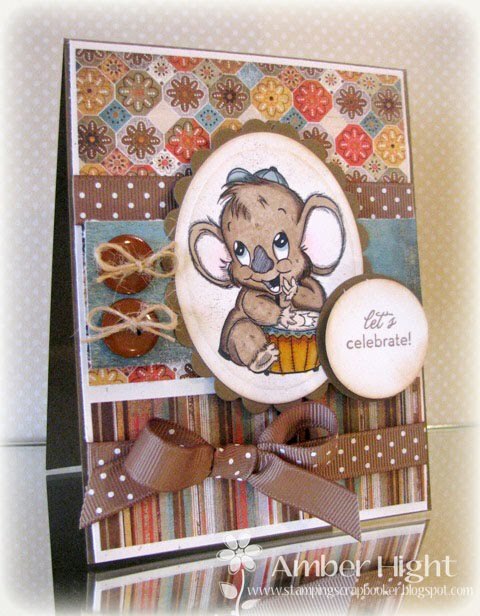 If you loved yesterday's sneak peeks, you're sure to love everyone's cards today too! 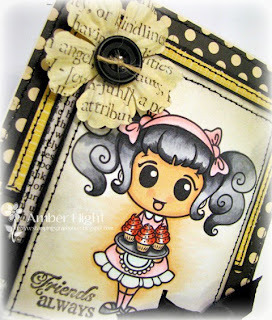 We have MORE TGF Critter Crew projects to share with you today! I couldn't decide which card to share with you today, so I decided to post BOTH! I just love these cuties. Irvin with a Sax is seriously the cutest owl IN THE WORLD! I used Boxer papers by Basic Gray, some Enchanted Evening paper and ribbon by PTI, and the fun sentiment from "Handwritten Notes" also by PTI. 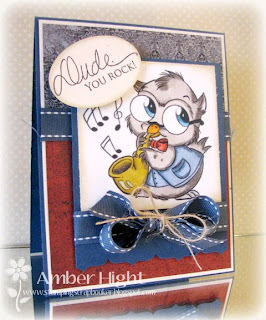 And here is my card using another new Critter from the Crew, Harold Drums! I used papers from Basic Gray's new line called Max and Whiskers! Isn't it fun? And Harold, he just breaks my heart:) I colored him with Copics and stamped the sentiment from "For Your Birthday" by SU!. 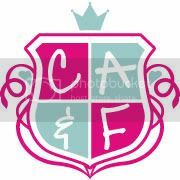 The ribbon is also by SU! 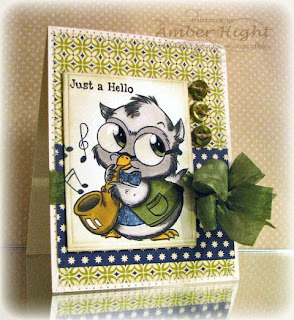 Your next stop is the incredibly talented HEATHER! 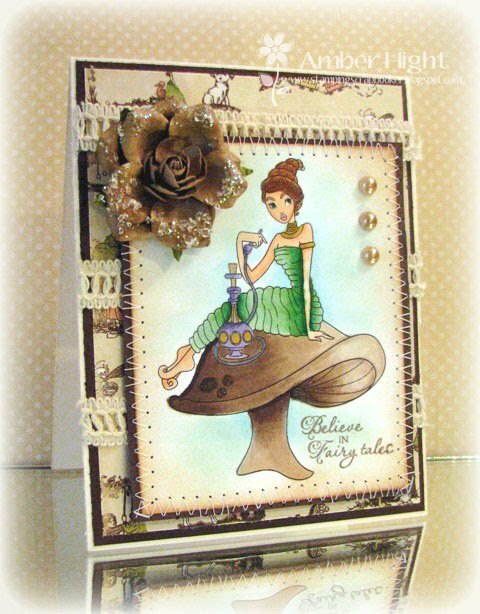 I've seen her card and LOVE it! Go check her out! Here's a list of the blog hop order in case you get lost;) Remember to leave your comments on these blogs for your chance to win a free Marina Digi!! Farm Fresh with some sneak peeks!! If you didn't already read it on the blog, Jessica has asked me to join the Critter Crew for the next 3 months! How FUN is that? 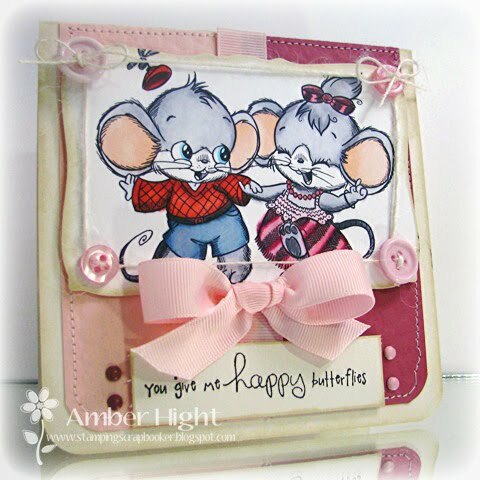 If you haven't noticed, I've developed a bit of a crush on TGF stamps and an even newer crush on the critters! Marina is just an amazing artist, every one of her critters are just the sweetest thing I have ever seen! I'm sure you'll agree when you see all the wonderful cards today! Along with me, Jen Shults and Shaela Odd are joining the Critter Crew! 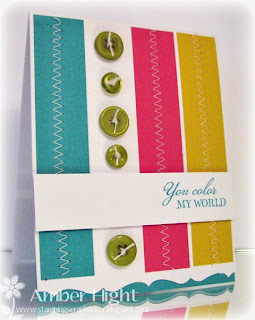 Today's Farm Fresh Friday challenge is a color challenge! 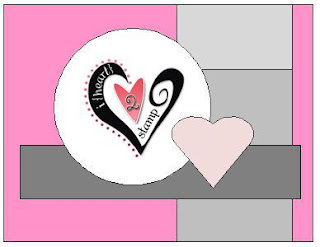 Do you love those colors or what? Reminds me of strawberry ice cream. Yumm! 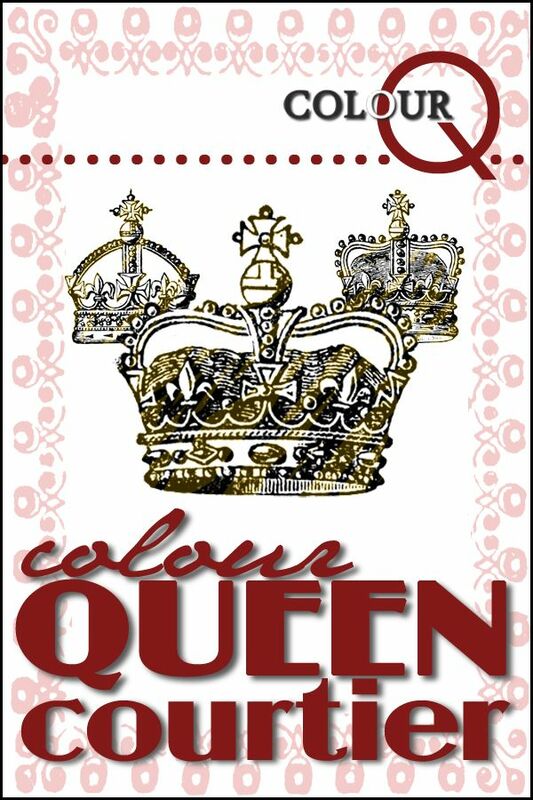 I sort of liked the layout of the color challenge graphic, so that's how I came up with the base layout. The rest just sort of fell in place as I was trying to fit that sweet sentiment (from the April KOM by Unity) on the front of the card! And just so you know, that twine and button frame took me about 20 minutes, lol! I could NOT figure out how I wanted to do it and it seriously took way too much time! I don't like spending more than 20 minutes on the whole card, lol! Saturday the 15th is the Roll Call release day! I don't know about you, but I ordered mine last week while they were on sale, and with free shipping! HOWEVER, these are still a STEAL and there are a ton of adorable Wild Sprouts included in this 8.5x11 sheet of wonderfulness! There are also new digis by artist Jessica Hymas that the Farmers will be previewing, as well as the three Critter Crew images we're peeking today! Check out the what the rest of the crew created! !